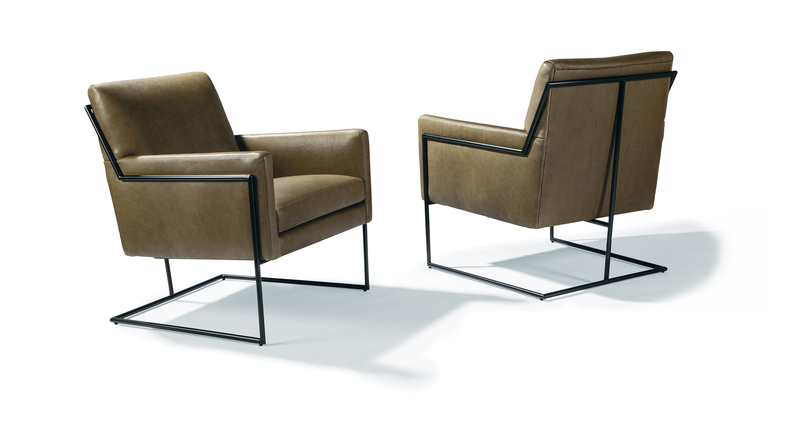 Designed by Ransom Culler, our Hi-Wire lounge chair is one of our new contemporary classics. With its striking minimal metal frame, available in dark bronze or polished stainless steel, and its tailored poly blend down seat, Hi-Wire will take your interior to another level. Choose from any of our in-house fabrics or leathers for upholstery or provide COM. Shown with dark bronze finish on base and legs. Base and legs available in polished stainless steel as No. 1432-103 lounge chair.